We believe investors can benefit from investing in a more diversified asset set which looks beyond purely equities and bonds. We think that this is especially relevant in the context of defined contribution (DC) schemes, where the goal of diversification should not purely be to bolster returns, but also to spread risk and protect against capital loss. 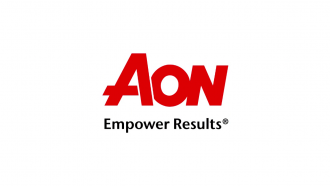 A disciplined multi-asset approach can, in our view, be an effective option for those looking for growth and income solutions to help plan for future liability payments. To us, good diversification entails a well-calibrated investment process that is able, in an opportunistic way, to identify assets with the potential to deliver sound long-term returns, and which is going to be genuinely diversified in the future. To determine this, one needs to gain a deep insight into the underlying factors that can drive individual asset-class performance and to understand the risk profiles of different asset classes. Dynamically managing those asset-class exposures not in isolation, but in the context of a portfolio as a whole, can help to achieve good diversification and growth, because it can be easier to see how different asset classes react to different external market factors. On the flipside, we believe it is important to note that excessive diversification may harm rather than help, and that creating ever greater diversification within a portfolio just for diversification’s sake should never be the sole focus. Indeed, to us, a diversified multi-asset investment approach is as much about what one does not own as what one does, and it is certainly not simply about ensuring an allocation to every asset class available. If one looks to the past decade, there has been quite a high correlation between the two most mainstream asset classes – equities and bonds. The era of financial repression, quantitative easing and structurally lower returns on conventional assets has led to the return from equities and bonds often moving in the same direction, as markets have been artificially manipulated by cheap debt and government asset purchases. A number of traditional diversified growth funds have struggled to adapt to this changing market backdrop, owing to their strict adherence to an inflexible mix of 60% equities and 40% bonds. 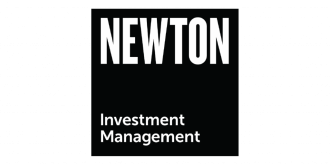 In our view, unconstrained portfolios with a flexible mandate that allows exposure to other assets that can display less-correlated returns – such as infrastructure, private equity, convertibles, property, commodities and renewables – might offer a more appropriate solution for this changed environment. With equities still trading near to long-term historic highs at a time when the withdrawal of central-bank liquidity and the expectation of further interest-rate rises in the US is heightening market volatility, our current view is that, overall, they do not look relatively attractive compared to some other asset classes. 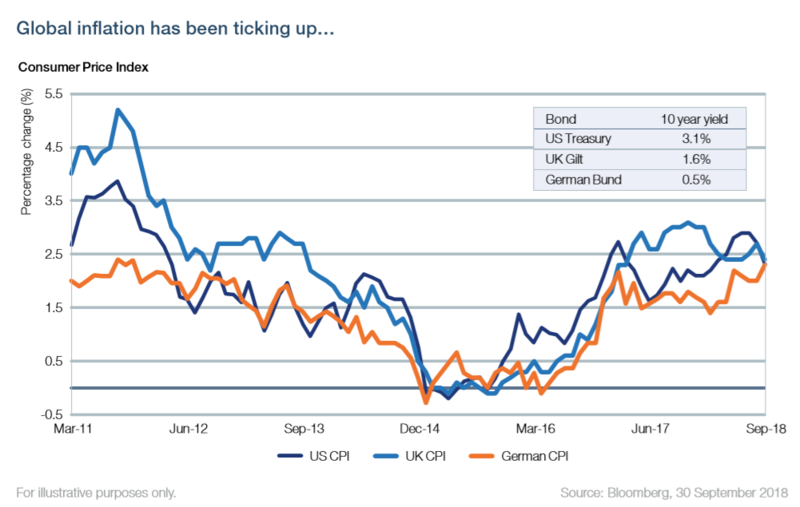 Meanwhile, we believe most bonds do not currently offer sufficient long-term diversification; moreover, with the recent uptick in global consumer price index (CPI) inflation, the yield available from them could actually see investors lose money, as the chart below shows. To us, it is the idiosyncratic nature of certain other assets, making them less correlated with mainstream assets, which currently makes them a potentially attractive proposition. At a time when we appear to be nearing the end of the economic market cycle, we believe it is possible to find alternative assets, such as infrastructure projects or renewables, which display less sensitivity to the cycle and which, importantly, can offer some insulation from the ravages of inflation or a market downturn. These assets, which are typically held with long-term time horizons, can achieve this by being inflation-linked, or funded through government revenue streams to give clarity on future growth. Indeed, we believe it can be an attractive option to take positions in such areas, where we have strong conviction that we may be able to achieve an asymmetric return compared to other asset classes. For these reasons, we believe that investing in these assets through the benefit of an active, flexible multi-asset strategy can afford schemes a level of protection from rising interest rates and inflation. Such an approach can also enable the provision of a visible, reliable income stream over a longer period, which can help institutions and individuals plan ahead to match their liability streams, while also offering the opportunity to re-allocate capital should relative valuations of assets change over the cycle.